Is This Another Panda Refresh or is it the Pony? There are double-digit traffic decreases to high-traffic sites such as wikia.com as reported on Searchmetrics blog. The significant drops have been first observed last Sat. Nov. 17, 2012 by Searchmetrics founder, Marcus Tober. At first glance from the comments on the influential blog, the high-traffic sites affected by this Panda Refresh or a whole new animal named Pony, have been low-hanging fruit for comment spammers and SEO pros looking for easy link juice. Consistent with Google’s mission (and standard comment to tech journos and bloggers) “We make over 500 improvements to Google Search each year so we can surface high-quality information for our users.”, this may be another refresh that will definitely terrify smaller outfits, SEO agencies and their clients. In this climate of fear and uncertainty, expect SEO ‘snake oil’ salesmen to tweak or hawk whole new crapware and dubious quality ‘strategies’ to beat the Pony (have you seen your spam inbox lately?). But before we all curse to the high heavens the google “gods” for their fickleness, let us all take stock of all the updates that caused us short-term pain, namely Panda, Penguin and others before like Florida. Remember, Google’s bread-and-butter is in search, it has been disparaged by some stock market pundits as a “one-trick pony” (get it? ), but its revenues in search account for billions in profit. Google is synonymous to online search millions of web users all over the world for the relatively high of its search results. So expect more updates to prune those ‘gamed’ results on its page one. And as all can see with all these updates to the search engine that they are getting better at it. Will you keep guessing at more than 200 ranking factors that Google has up its sleeve? Will you even try to beat its equally famed and derided algorithm? If you have the deep pockets and money to burn like the big dogs, sure you can but that’s until the next ‘terrifying’ update. Google Rabbit, Seal, or Walrus anyone?! 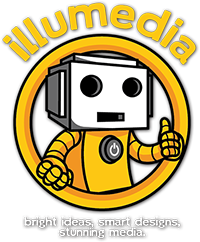 illumediahq http://illumedia.net/wp-content/uploads/2017/05/logo-200-centered.png illumediahq2012-11-23 04:27:002012-11-23 04:27:00Is This Another Panda Refresh or is it the Pony?